Thanks to the Cultural Preservation Programme of the Federal Foreign Office, the temples of Bagan, an important cultural heritage site and tourist attraction, are being preserved, both as important testimony to the culture of Myanmar and for the benefit of future generations. In August 2016, a severe earthquake damaged a number of the temples in the former royal city of Bagan. 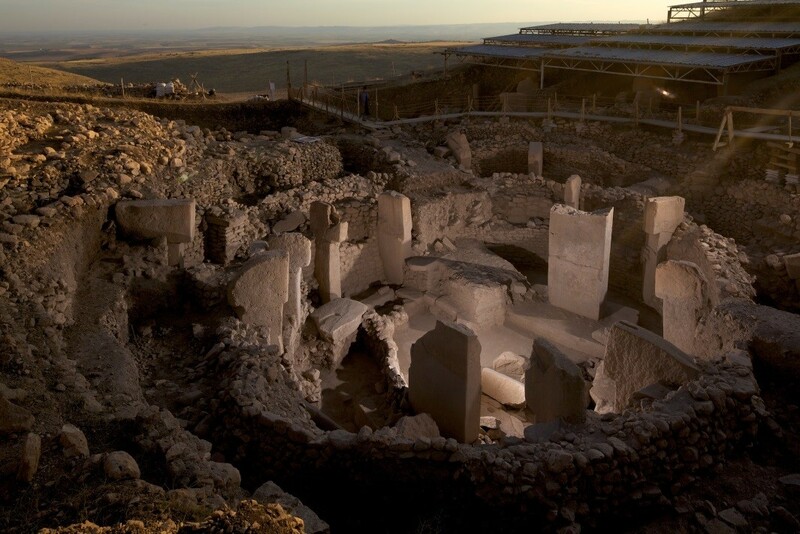 Funding provided by the Cultural Preservation Programme is enabling the reconstruction and conservation of the ancient temples. 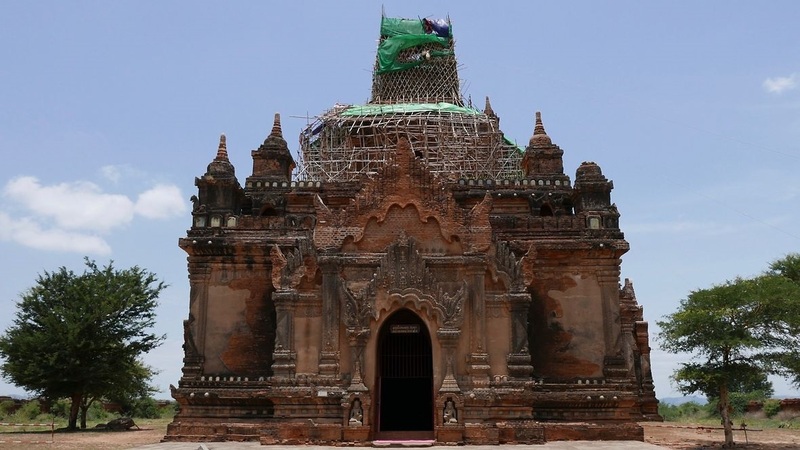 During a preparatory trip in May 2017, the two German conservation experts Prof. Hans Leisen and Dr Esther von Plehwe Leisen, along with the German conservator restorer Andrea Teufel and in coordination with the Myanmar Department of Archaeology (DoA), determined which two temples the restoration work would focus on. The damage has meanwhile been examined and analysed. Conservator restorers are being trained at both temples, and conservation work is underway. All measures are closely coordinated with the Department of Archaeology and carried out in cooperation with the Myanmar conservation team. The Nanpaya sandstone temple is where stone conservation training is conducted by the Department of Archaeology, as well as where sample conservation work based on scientific research is done to protect against weather damage. In addition to preserving valuable decorations, the cultural preservation project gives DoA staff the opportunity to independently plan and properly carry out conservation work. Now that the samples taken in 2017 have been examined, and the required conservation material, tools and equipment procured, an initial on site campaign is being launched in 2018. 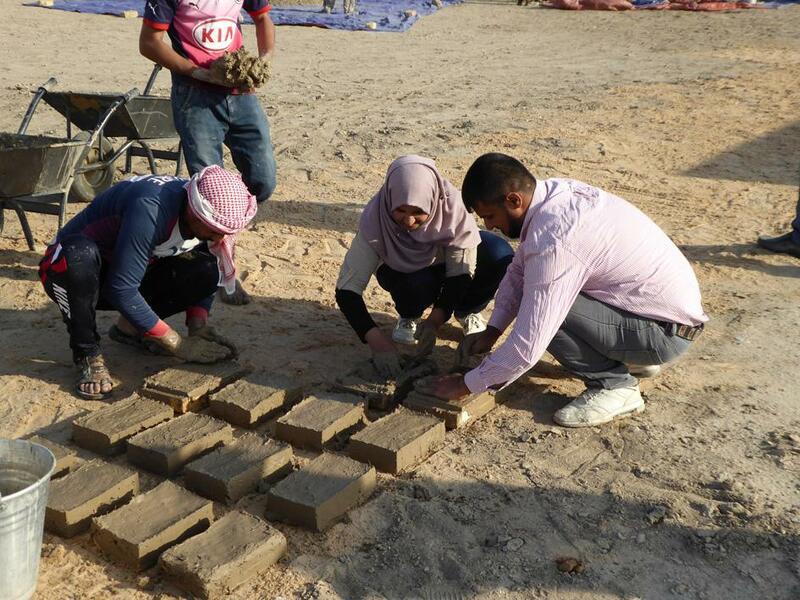 In addition to developing a conservation strategy, the project focuses on conducting conservation workshops with DoA staff on natural stone, documentation and investigation techniques, as well as the properties and production of conservation products. 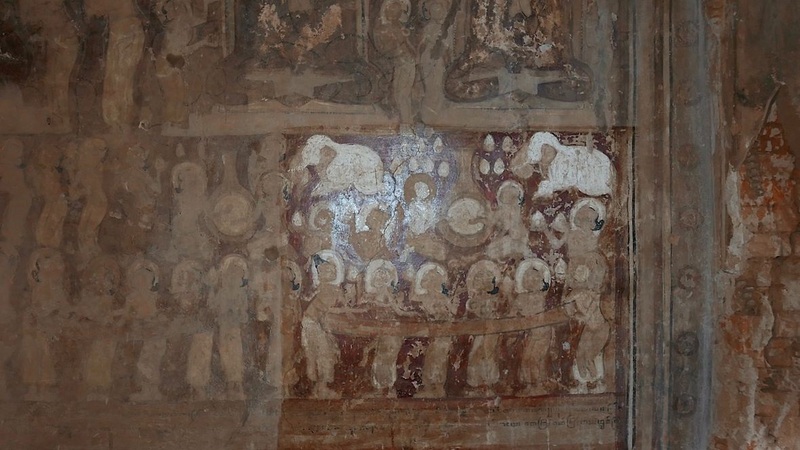 Until now, no scientific strategy had been developed to ensure long‑term conservation and restoration of the murals. This project aims to do just that | © Andrea Teufel. Like many other temples at Bagan, the interior walls of Narathihapatae Hpaya Temple (formerly Tayok Pye) are covered with ancient murals. Bagan is a unique cultural heritage site in terms of the concentration, number and quality of its ancient murals, which are between 400 and 900 years old. Although some have been lost, a great number have survived. Because there has been damage due to previous faulty renovation, better and more systematic conservation and restoration work is urgently needed. To develop a scientific, long term and non damaging method for conserving the murals, samples were taken in 2017. The original materials and techniques were analysed, and different cleaning and conservation methods were tested on the samples and the results evaluated. In 2018, the conservation methods developed through these tests are being reconfirmed and further developed on site in Bagan, and sample areas are being prepared for the conservation and restoration effort. A key aim of the project is to provide basic and further training to the Myanmar staff in Bagan. The Federal Foreign Office’s on site conservation and training programmes in Bagan promote scientific cooperation with Myanmar. By providing basic and further training to the Myanmar conservation team, the transfer of know how and sustainability is ensured.